Home » Spaces » Communifire Support » forum » Communifire API & Developers » How can i change the color of the orange loader symbol? How can i change the color of the orange loader symbol? 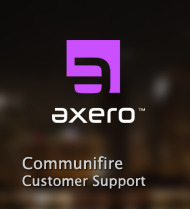 Am looking to change the color of the orange loading symbol of Communifire. Could someone help me achieving this? You will also need to change the fill for the key frames as well which create the animation. Here is the updated css with your fill color. Thanks a lot for your help. It works now but the square frame is still orange. What css can i use to fix that? Amazing Nathaniel thanks a lot for your help.